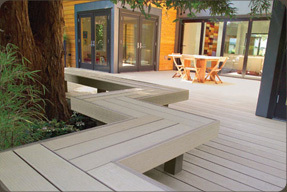 Glenora Lumber carries #2 and Better Dimensional Lumber, and a wide selection of Fence Boards and Plywoods. We stock a complete cross section of lumber. Whether your project requires a few pieces of lumber or a complete package. 1x4 through 2x12's in 8'-16' lengths... longer lengths available via special order. Spruce, Fir, G1S Fir, PWF Plywood, Birch, MDF, Melamine, Oak, Maple and Cherry. From 1/8" to 3/4" thicknesses. Other sizes available through special order. Our shop staff will gladly cut your plywood to fit your specific needs. Glenora Lumber Stocks Alkaline Copper Quaternary treated lumber commonly referred to as "ACQ" in 5/4 x 6 decking as well as 2x4, 2x6, 2x8 and 2x10 all in radius edge. Cedar is readily available via special order. 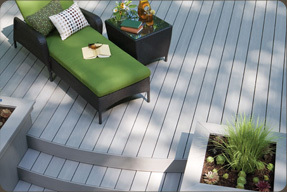 Maintenance free also referred to as Composite Decking is sold at Glenora Lumber. 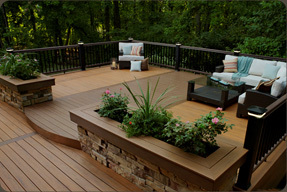 Visit our showroom to see color selections and samples available in Moisture Shield, TimerTech and Trex Decking.